1. 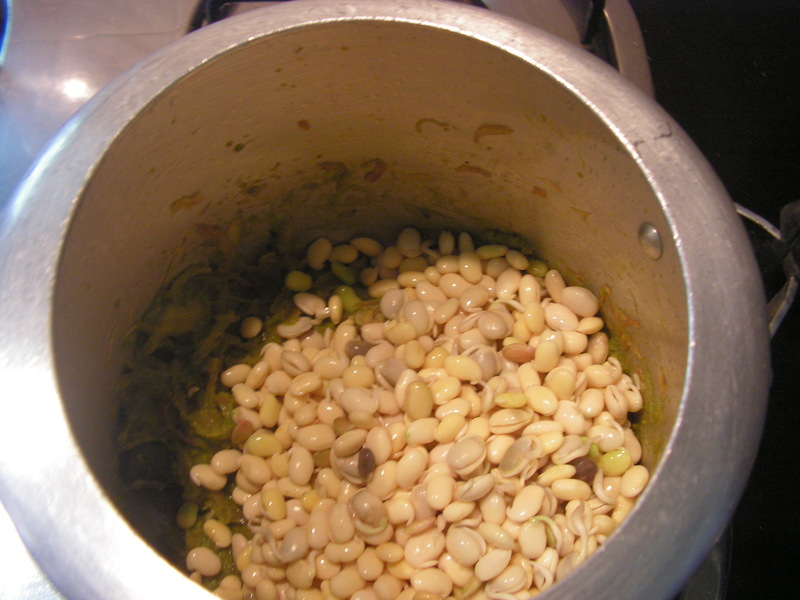 Peel the skin of fresh surthi beans/avrekayi and soak beans in water overnight. 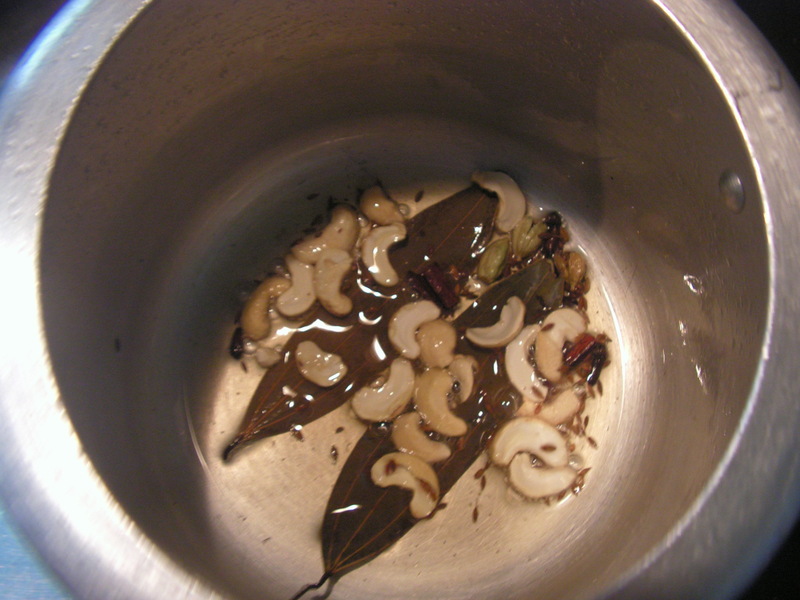 Peel again to get doubly peeled avrekayi as shown in image-1. 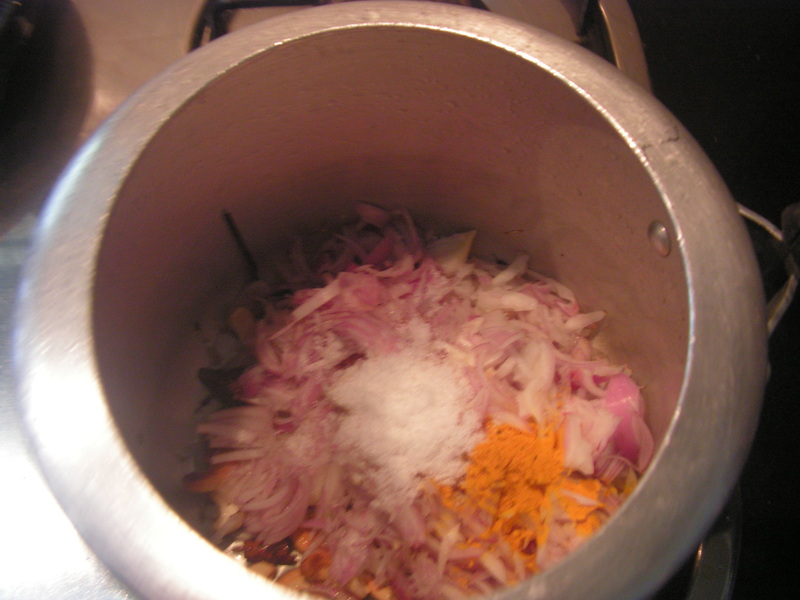 Cook in the cooker (adding little salt) till soft and keep aside. 2. 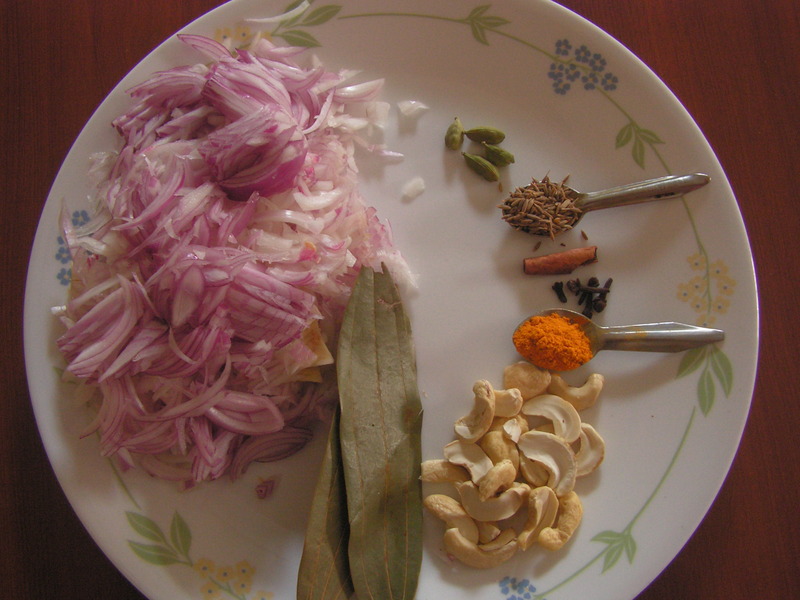 Wash and chop onions fine, chop green chillies, coriander leaves too and grate coconut as shown in image-3. 3. Dry roast Bombay sujee in a skillet till you the raw aroma goes away and you get a pleasant aroma. Mix wheat sujee to it and keep aside. 3. Place a skillet with 4 Tablespoons of cooking oil on medium flame. When hot, add jeera/cumin and mustard. 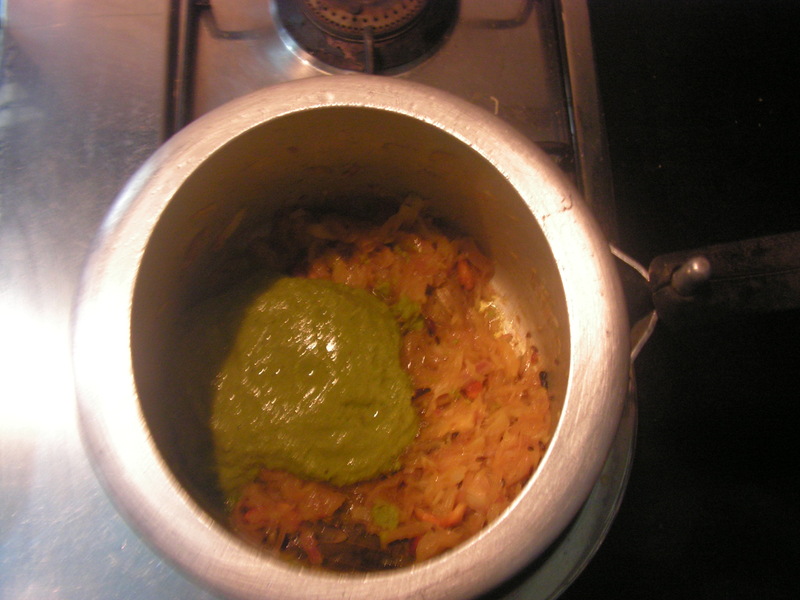 When they start to crackle add blackgram/urad dal to it and fry till it is light brown in colour. Add red chilli pieces, chopped green chillies and add curry leaves and fry till done. Finally add chopped onions with a little salt, and fry till onions turn transparent. Meanwhile, also boil around 2 and 1/2 cups of water. 4. When the vegetables/seasoning is well fried, add roasted sujee from step-3 and then boiling water. 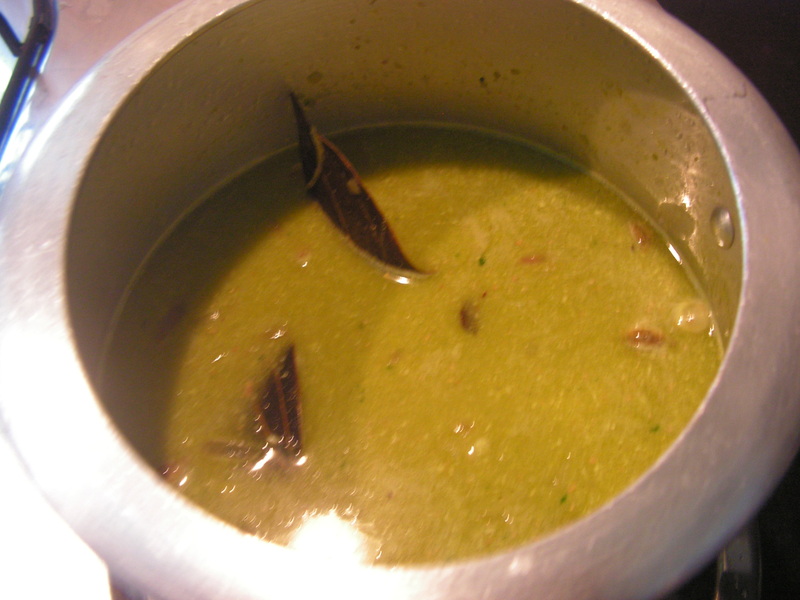 Let the sujee cook and attain the required consistency – add more boiling water if needed. 5. When done, add cooked avrekayi from step-1. Also, add fresh grated coconut, cilantro/coriander and mix with a wooden spatula (preferably) so that the cooked beans do not get crushed. 6. Finally when ready it is as shown in the image below. 1.Bombay sujee must be properly dry roasted to make the upma tasty. Wheat sujee need not be roasted and when mixed with roasted sujee will suffice. 2. 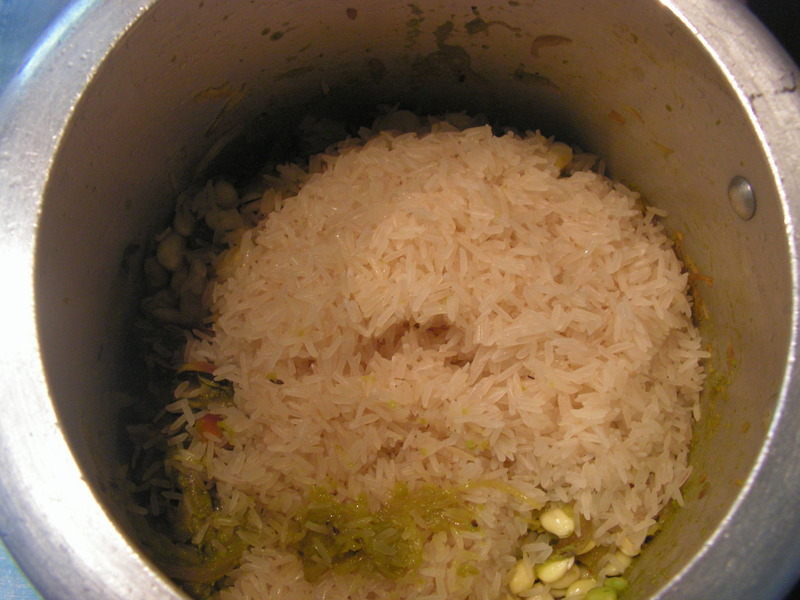 Quantity of water depends upon the thickness of both the sujee. Caution – excess water will turn the dish soggy. 3. Avrekayi should be doubly peeled not only for a better taste but also for a better look. 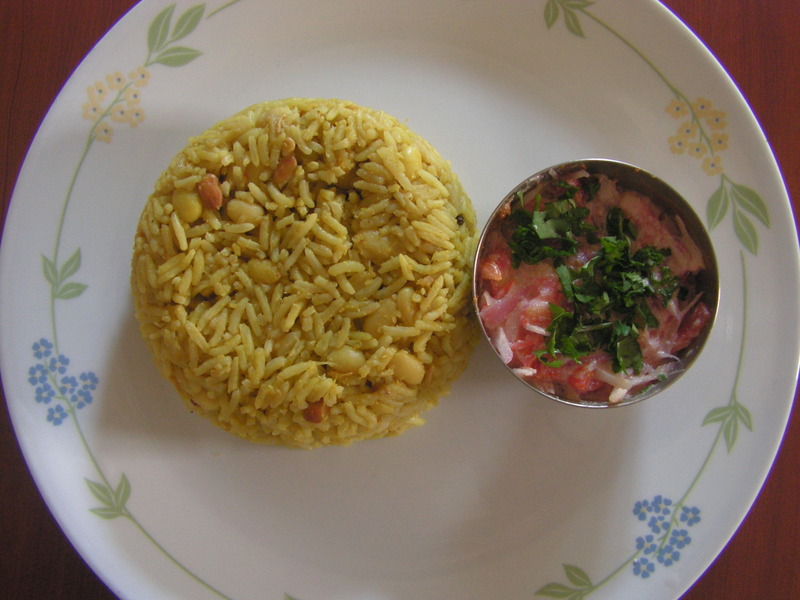 This entry was posted in Uncategorized and tagged 45 minutes, Advance planning, Avrekalu dishes, Avrekalu/Surthi beans/Hyacinth, Breakfast, Tiffin.